A cult-like following for its founder, employment contingent on passing an intense 6-week technical bootcamp, competing for college talent with the likes of McKinsey, company perks including an annual company-wide cruise and an annual family day in which parents were flown in from across the globe. 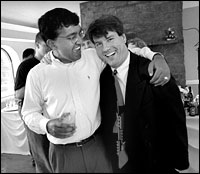 This isn’t Google, it was MicroStrategy, the startup I was fortunate to join right out of college, in the late 1990s. It’s IPO in 1998 was front-page coverage in the Washington Post. Its company-wide cruises were indeed stuff of legends. In March 2000, the shares infamously dropped 62% in one day and MicroStrategy’s founder and CEO, Michael Saylor, is still the answer to a Trivial Pursuit question on “who has lost the most money in a single day?” (Answer: a cool $6 billion). But this post is not a story rehashing the amazing days at MSTR, or how I still count some of my bootcamp buddies as best friends, how much of Saylor’s vision is coming to fruition today as data and computing power becomes democratised, or how MicroStrategy made me believe in Data as a competitive advantage. 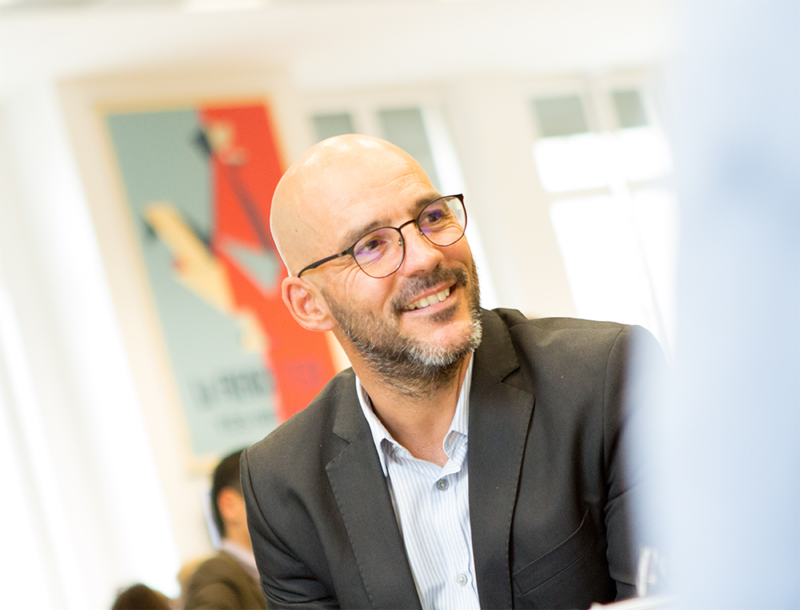 It is inspired by recently having caught up with two former MicroStrategy colleagues in London and having the same experience with each: beginning to list the successes of MicroStrategy-alumni …and realising that the list is long… very long. The MicroStrategy crew has, very quietly and mainly from the DC area, gone on to create billions and billions of value through their own ventures and those they have helped incubate. The main objective of this post was to shine a light on the MicroStrategy mafia, as I think some credit is due to what a gang of data geeks in Vienna, VA in the 90s have gone on to create! 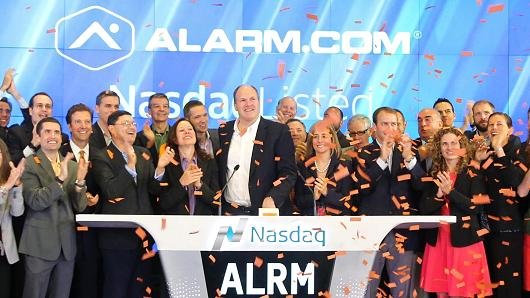 Home monitoring and analytics company, Alarm.com, which was initially incubated within MicroStrategy and then spun off with backing from TCV and which went public in June, 2015 and currently (Sep 2017) has a market cap of of $1.8B. Steve Trundle, Alarm’s CEO was CTO of MicroStrategy and a number of the management team members including Jeff Bedell and Dan Kerzner were part of the tech leadership at MSTR. 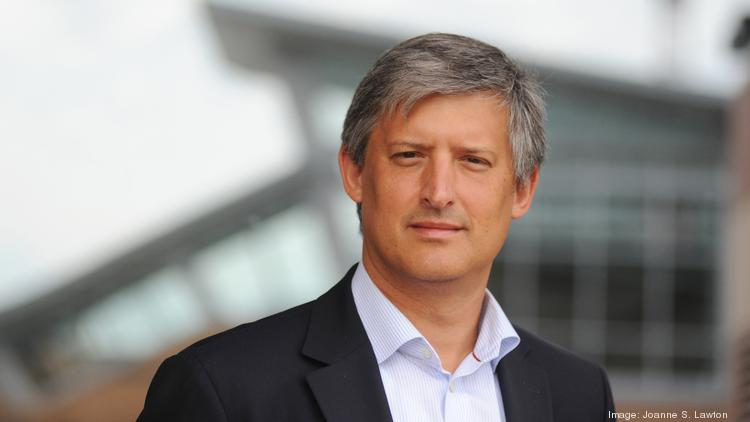 Joe Payne who served ast MicroStrategy’s CMO and later became CEO of Eloqa which he took from $11 million in revenue to IPO followed by an $870m acquisition by Oracle in 2012 and is now CEO of NEA and Accel backed cybersecurity company Code42. After the 6-week bootcamp I landed my first job in the strategic Channels group which sought to embed MicroStrategy’s analytical engine in other vertical software products. My boss was the insanely bright Matt Calkins who would leave along with Mike Beckley to establish Appian which he floated earlier this year and now has a market cap of $1.4B. Mark Lynch, the former CFO of MSTR is now also CFO at Appian. 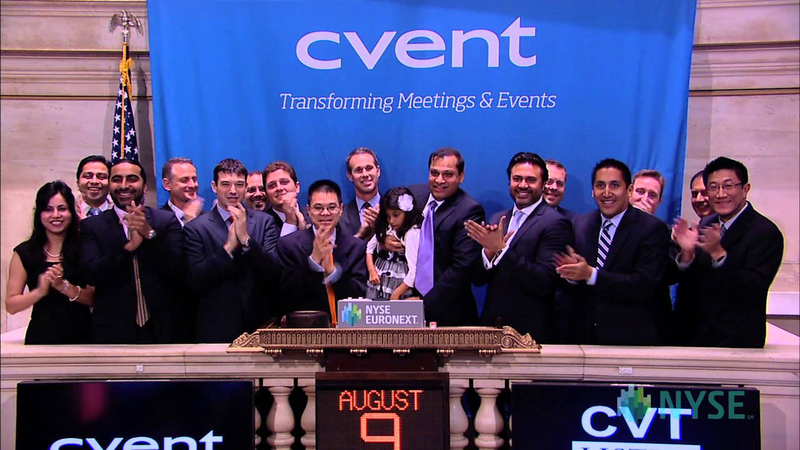 MicroStrategy co-founder Sanju Bansal remained at MSTR through 2013 but along the way he helped incubate and served on the Board of CVENT which is one of the most amazing stories of near-deaths to IPO at $800m valuation followed by a sale to Vista Equity Partners for $1.65B. 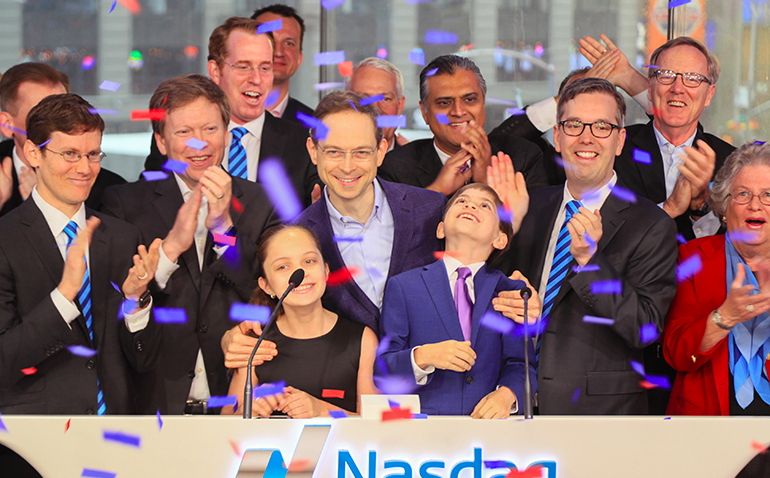 Along with MSTR-alum Dan Ross and the US government’s first CTO Aneesh Chopra, he now leads Hunch Analytics which helps incubate and back companies which seeks to apply analytics to companies in areas such as education and healthcare. A posse of early MicroStrategists led by my former boss (and all around great guy) Sid Banerjee founded Claraview, which was sold to Teradata, and in parallel launched Summit Partners-backed sentiment analytics firm Clarabridge where the management team still includes a number of former colleagues including Ram Ramachandran, Sal Uslugil, Fabrice Martin, Joe Bullis, and dozens more and where Sanju also serves on the Board. 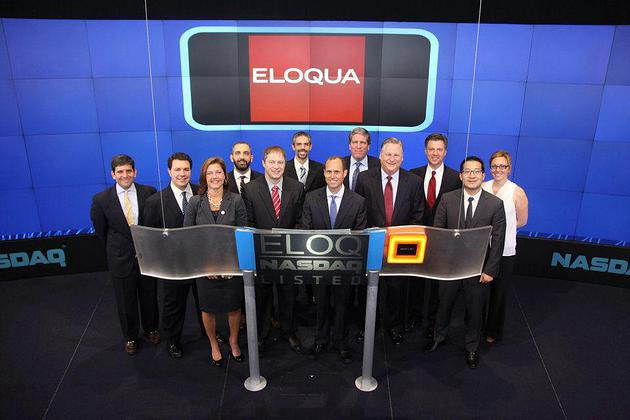 IPO rumors continue to swirl around Clarabridge. A member of Sid’s “posse” at both Claraview and Clarabridge was Justin Langseth who had served as CTO of Microstrategy’s [ill fated or ahead of its time?!?] consumer offering Strategy.com. He has since gone on to found real-time data visualisation platform ZoomData which has raised over $47m from the likes of NEA, Accel, Goldman Sachs. Allison Andrews, who used to lead Education at MSTR, became a serial startup executive and founder including eGrail which sold to FileNet, eSecurity acquired by Novell, and Vigilant which she sold to Deloitte. She is now back at the startup game with Dezignable. On the West Coast, Srikant Gokulnatha, Sadanand Sahasrabudhe and Gaurav Rewari co-founded IT-analytics company Numerify which has raised $60 million from the likes of Sequoia and Lightspeed. Wolf Ruzicka (aka DSS Wolf) who founded APIphany which was acquired by Microsoft and is now Chairman (after serving as CEO) of EastBanc Technologies which has itself developed and incubated a number of data analytics and mobile products and applications. Others former cruise-takers have gone on to have their own amazing careers, including Yael Cosset, now Chief Digital Officer at Kroger, Ash Jhaveri, with whom I have had the pleasure of working with at every single company (MSTR, MSFT, GOOG, FB) and many more. Other entrepreneurial stories highlighted after this was originally posted include the first MSTR employee with a proper British accent, Giles Bryan, who founded ContactEngine; Bob Ghafouri and Grace Koh who founded CadenceQuest which was then acquired by Accenture; Ray Tacoma who went from MSTR to lead sales at Netezza which went public and was then acquired by IBM for $1.78B; Mark LaRow who leads HealthTech firm Verato with a number of other former colleagues including Grace Koh and Luis Orozco and of course backed by Sanju. Simdul Shagaya who moved back to Nigeria and launched Konga, the leading eCommerce site in the region which has raised over $70m. Zeynep Inanoglou who left MSTR for the MIT Media Lab and then a PhD at Cambridge where she was part of the founding team at Phonetic Arts which was acquired by Google and became Google’s voice recognition platform. Anupam Mittal who served as Product Manager at MicroStrategy before launching Shaadi.com now the largest matrimonial site in India and is now one of the most active angel investors in India. Debbie (Catalfo) Madden who launched Stride in New York. Rohit Bhayana and Shashank Garg who launched BI services firm InfoCepts. Jill Fishman Erber who founded and runs DC-based Cheesetique. Previous MSTR consultant, turned Comscore executive Serge Matta who is the CEO of Groundtruth (formerly xAd) who has raised over $115m. And this doesn’t include former colleagues who went on to be early employees at the likes of e.Piphany, Salesforce and others. As to MicroStrategy, it’s still going strong in the BI space and has a market cap of $1.55B with Saylor still at the helm. 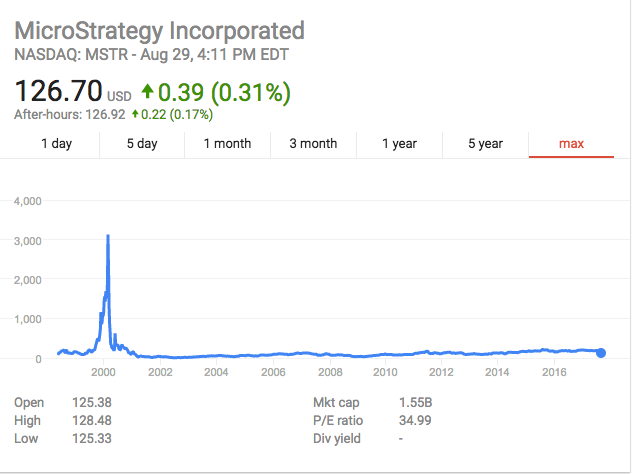 The dot-com stock price graph still makes me smile (easy come easy go…), but the real legacy from those days might be the mafia it spawned and the success the MSTR-alumni have had since then. I think I may be way overdue for a trip back to Washington, DC.